Albertsons was founded in Boise, Idaho. The original store was opened in 1939, by Joe Albertson. The location was a huge success and the huge profits that the store took in allowed them to open new locations. The company continued to grow reaching 100 locations in 1964. In 1969 Albertsons started a partnership with Skaggs Drug stores creating the first combination Grocery-Drug stores, now a normal fixture. Around 2002 Albertsons started to divest unprofitable divisions, and different regional chains due to lacking market share. This would include the Houston Division. In 2014 Albertsons was approached by Safeway regarding a merger, and after FTC approval including closing and selling certain locations from both chains the merger was completed in 2015. The new company is divided into 14 different divisions. This now means that certain locations purchased by Randall’s are once again owned by Albertsons. 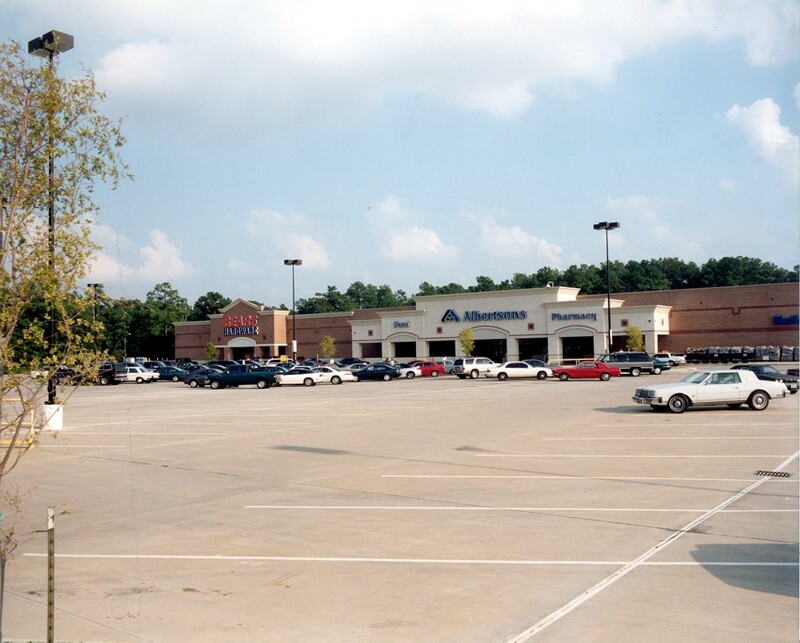 Albertsons entered the Houston, Texas market in 1995.1 The chain expanded into the Houston market by opening about 10 locations in 1995. They were able to get a feel for the market and opened a few stores in the coming years. The real expansion occurred in 2000 with around 15 stores opening and even more being opened in 2001. In March of 2002 Albertsons made an announcement that they had decided to pull out of under performing markets. Contrary to Albertsons current and planned growth this included the Houston area.2 At the time of the announcement the company had 43 stores open. With multiple parcels of land that they were planning to develop. Albertsons managed to claim 8.7% of the Houston grocery market. For comparison at the time Kroger claimed 26 percent, Randall’s claimed 17 percent, HEB claimed 13 percent and Fiesta claimed 10 percent. The chain had previously closed six stores in Houston under the guise of restructuring the chain. At the time of their announcement 10 stores were closed immediately with the remaining 33 vowing to stay open until buyers could be found. At the time of pull-out Kroger agreed to buy 16 stores directly from Albertsons along with two parcels of land they were planning to build on. The list of stores can be found here. Since Albertson’s exit from the Houston market was so unexpected many new stores and concepts were being developed right up until the point of exit. Because of this many of the Kroger acquired stores have very unusual features. The features include Gas Stations with full Convenience Stores. Also some stores were fitted with Garden Centers. Most Gas Station and convenience stores continue to operate under Kroger. However the Garden Centers were not long lived. Due to the reluctance of getting Kroger to operate a full blown Garden Center an alternative use for the space was established. They decided to use the area as a Dollar Store. You can read more about the concept here. When moving into an Albertsons that was already operating Kroger did little to change the aesthetics. Going so far as to leave all original signage that did not say “Albertsons” anything that did have to be replaced was even given a special font as to match that already hung signs. You can see one example of the special Kroger logo here. 2 Locations were purchased by HEB during their early 2000s expansion into the Houston area. They both replaced Pantry Foods locations and were purchased after being closed by Albertsons. If you know of a location that has yet to be added to the list please leave it in the comments and I will review it. The Opened and Closed dates are taken mainly from http://hcad.org some dates may be inaccurate. Other sources include news paper articles and some retail listings. Albertson’s suffered because of expansion of HEB. Why are you closing store on 2315 Richmond ed. In Texarkana texas? Sorry Charlotte but I don’t control that! You might want to get directly in touch with Albertsons/Safeway to check with them! 220 S. Loop 336 W.
Love this site! The Pasadena Albertsons is now a Best Storage since last year, I believe. Thank you for the compliment, and thanks for the update!